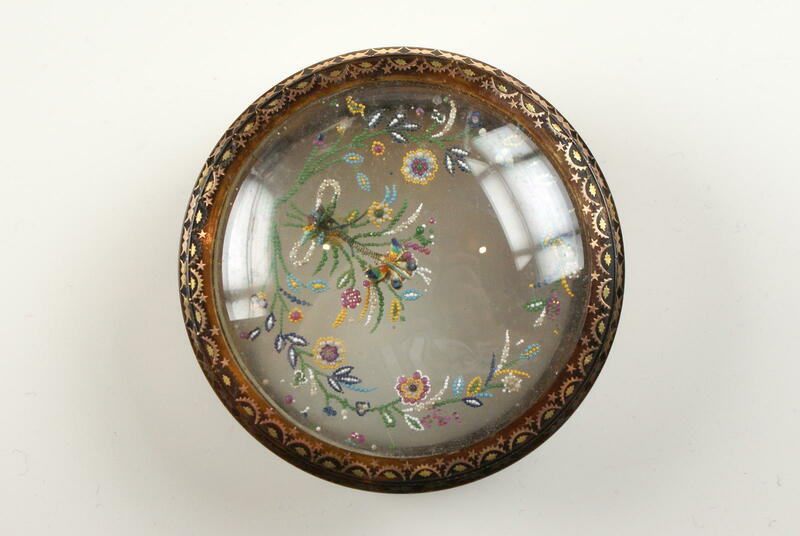 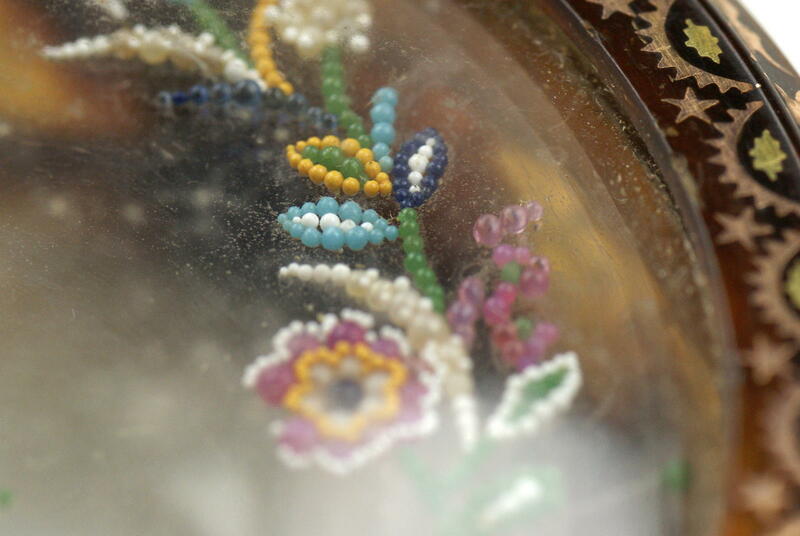 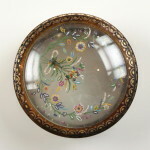 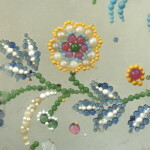 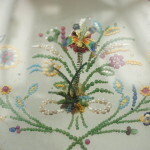 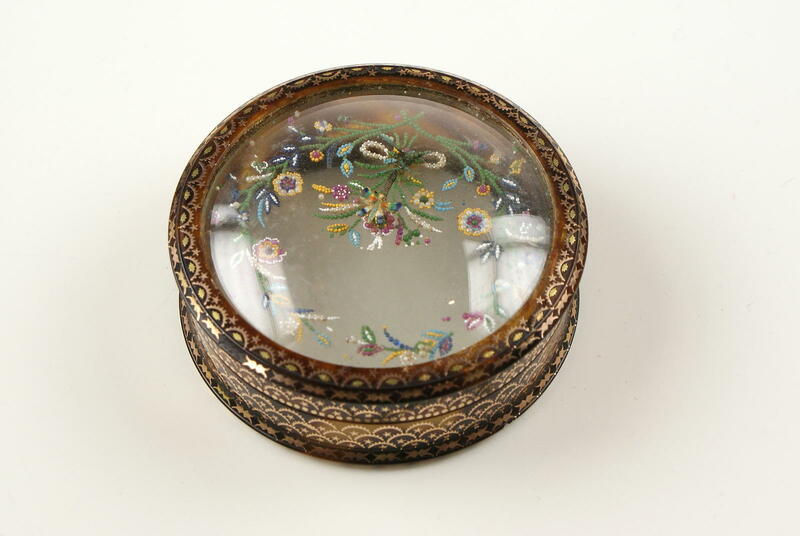 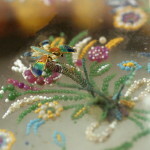 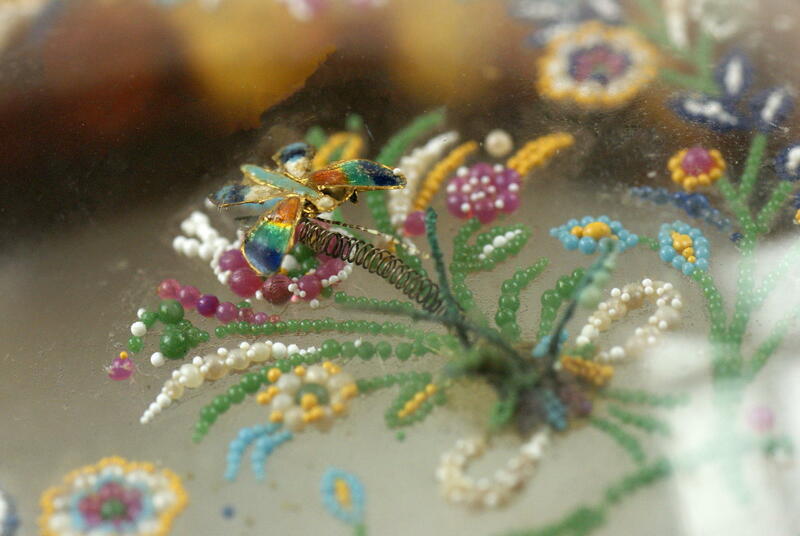 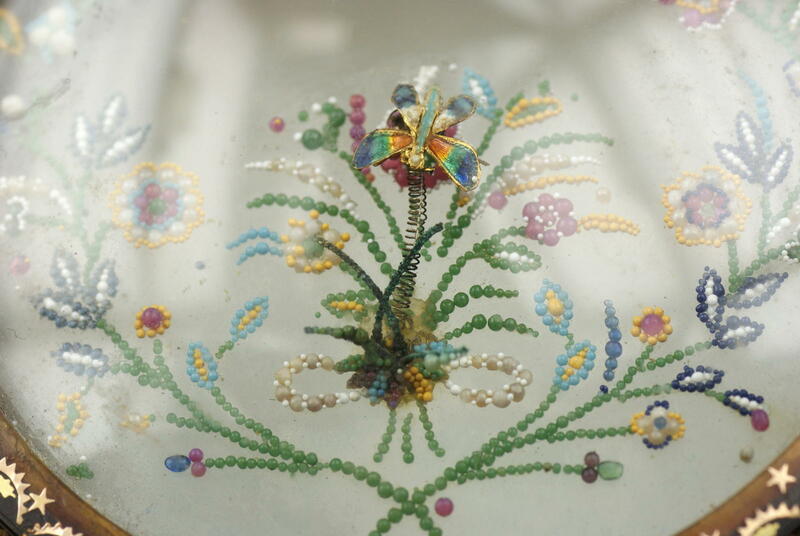 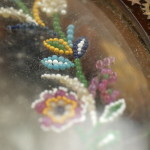 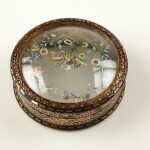 A pique and beaded see-through box, the top hosts a beaded Floral design while there is a butterfly on a spring to give the impression its flying from flower to flower. 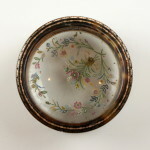 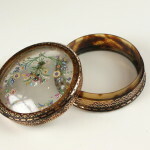 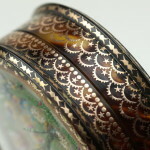 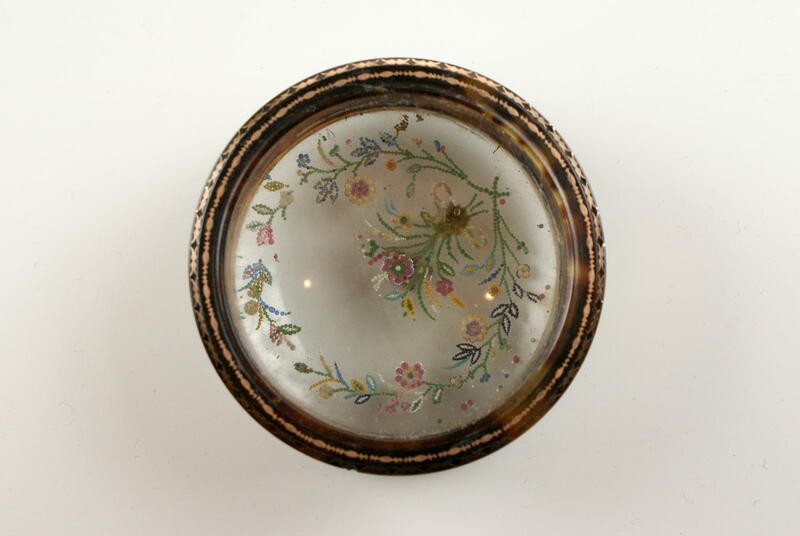 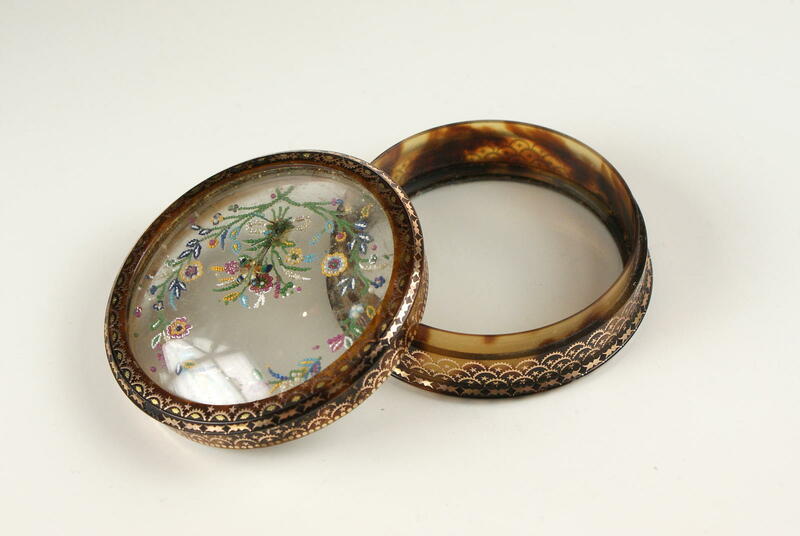 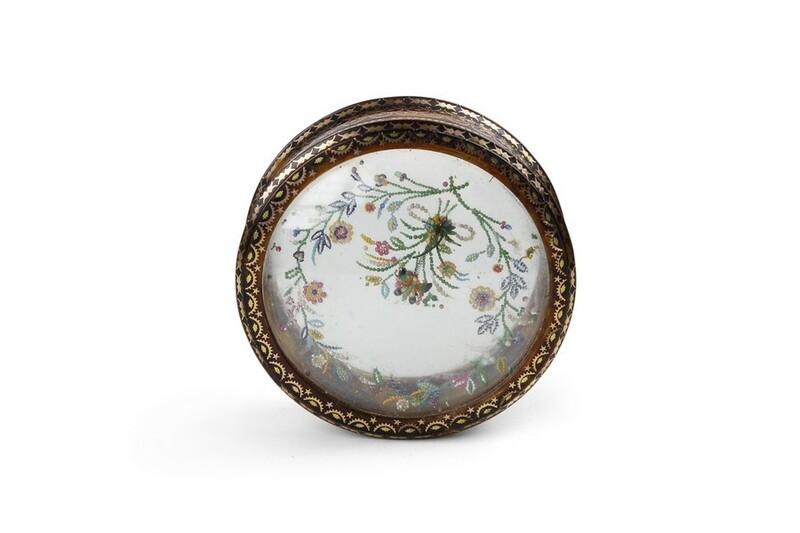 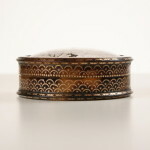 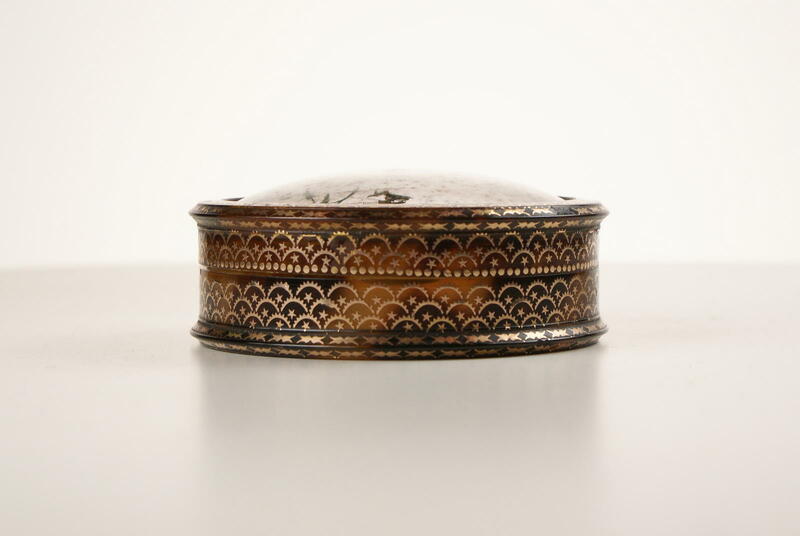 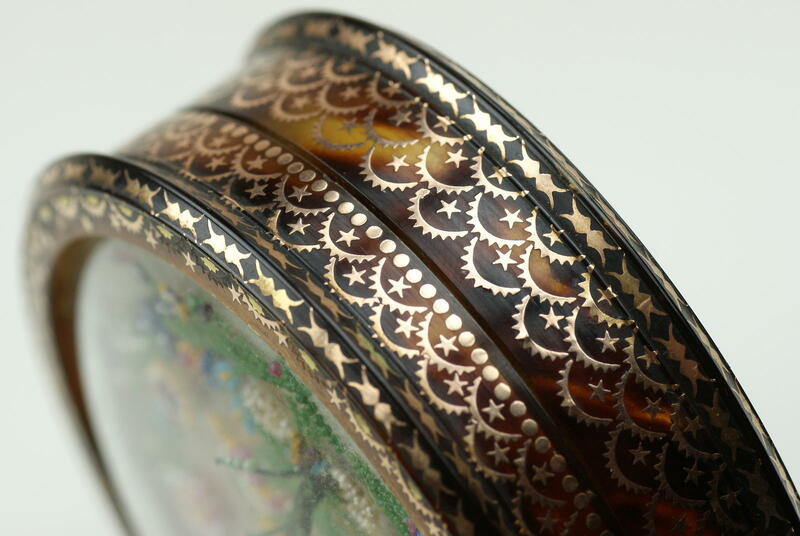 On the sides is an intricate gold leaf pattern on tortoise shell with pique work circa 1780. 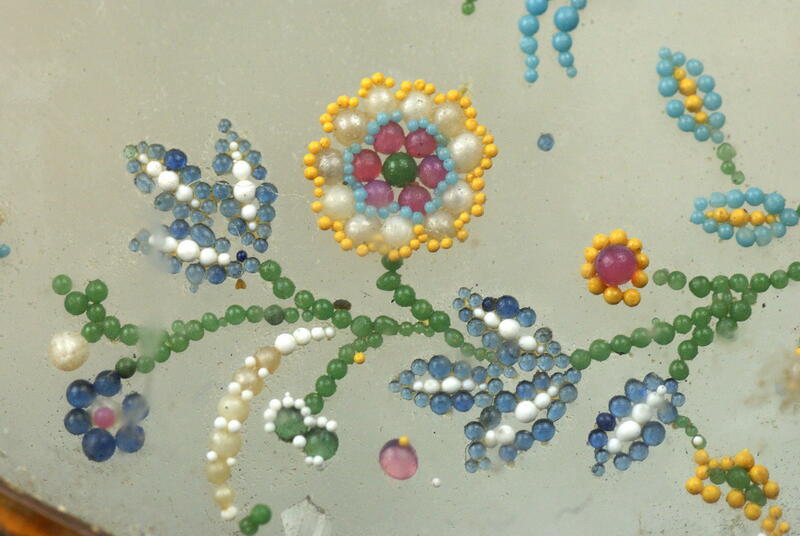 Some beads have been dislodged and some of the pattern work has been rubbed of in places.